* prove the capabilities of our equipment on any given material. 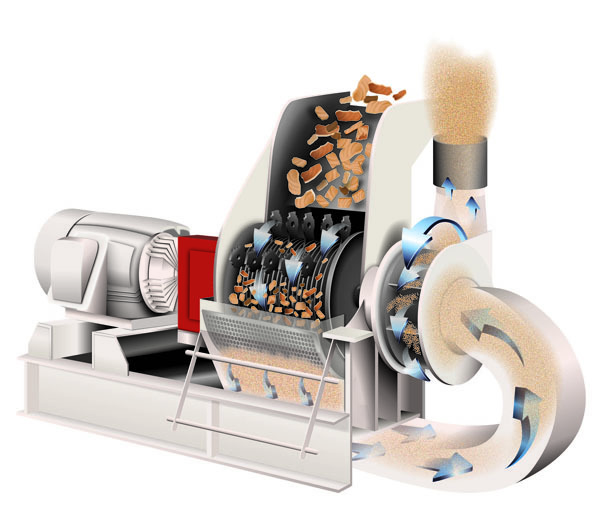 * determine the proper mill set up (rotor speed, screen size, rotor configuration, etc.) that produces the optimum results on a given product. * calculate throughput capacities so that the proper mill size is offered. * determine feed and discharge chute design to provide safe and efficient mill operation. In most cases a five (5) gallon of material is requested. In some situations more material is requested, and in other cases we can make do with less. If you wish to take advantage of this free of charge service please send us your sample along with a completed "Application Data Form". Please be as thorough as possible in completing the form as it will help us greatly in determining the proper unit for your unique application.